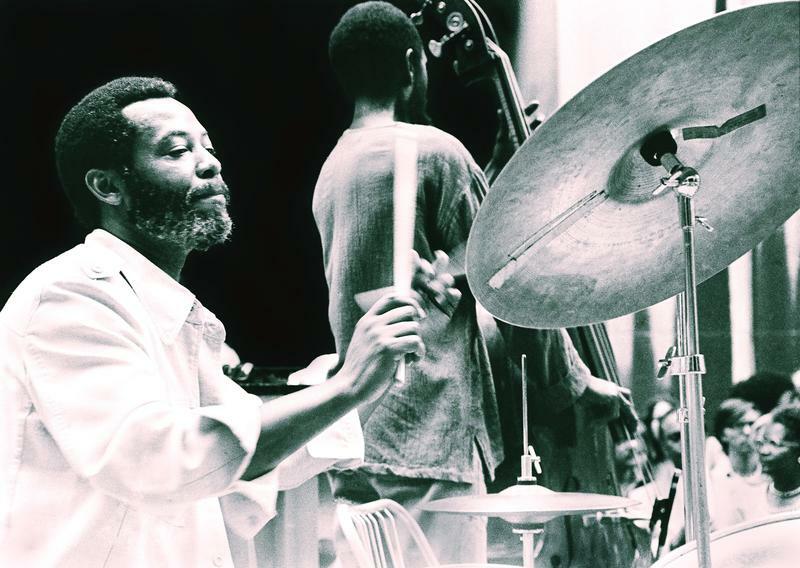 Ben Riley, a subtle and versatile jazz drummer best known for his affiliation with Thelonious Monk in the 1960s and Kenny Barron, one of Monk’s pianistic heirs, in all the years since, died on Saturday at Good Samaritan Hospital in West Islip, New York. He was 84. His death was confirmed by his daughter Kim, who said the cause of death is not yet known. 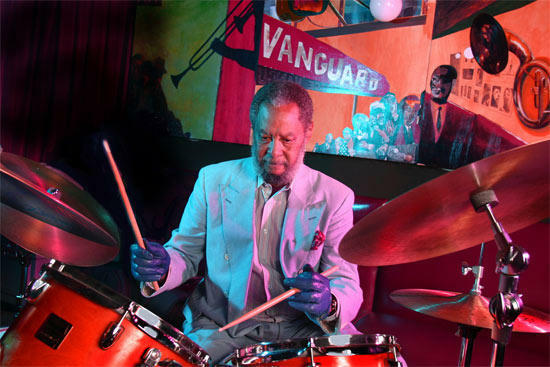 Riley enjoyed a six-decade career in jazz, playing on more than 300 albums. Along with Monk and Barron, he backed the pianists Andrew Hill and Abdullah Ibrahim, the tenor saxophonists Johnny Griffin and Stan Getz, and many others. His drumming was noted for understatement, and for a slightly skewed rhythmic conception that could keep the listener off balance. If these seem contradictory, it was perhaps Riley’s greatest gift that he reconciled them. In fact, Riley’s love of accompaniment was so pronounced that he recorded only three times as a bandleader, making his name-above-the title debut at age 60, with called Weaver of Dreams, featuring bassist Buster Williams and saxophonist Ralph Moore. Prior to joining Monk’s band, Riley’s most widely acclaimed work was with tenor saxophonist Sonny Rollins, on his 1962 album The Bridge. Riley’s playing on this landmark — Rollins’ first artistic statement since returning from a sabbatical, which he spent practicing almost daily on the Williamsburg Bridge — affirms that sensitivity need not mean the loss of rhythmic oomph. During Rollins’ solo on “John S.,” he swings hard on his ride cymbal while playing snare-drum accents so softly that they almost sound like brushwork, right up until his solo breaks. Some of Riley’s more eccentric choices as a drummer were surfacing by the time of his 1960 recordings with Johnny Griffin, but they didn’t come fully to the fore until he joined Monk, a rhythmic eccentric in his own right, in 1964. He made his first appearance on It’s Monk’s Time, having been hired without previously playing or even rehearsing with the band. But he works with relish and understanding, even on new tunes like “Brake’s Sake.” Riley seems to know instinctively where the accents need to be, hitting them on the head with Monk and saxophonist Charlie Rouse, while slipping in some of his own devices, especially during Rouse’s solo. Benjamin Alexander Riley, Jr. was born on July 17, 1933 in Savannah, Georgia, and grew up in New York City. Interested in the drums from toddlerhood, he learned from the many musicians who lived or worked near his neighborhood, in the Sugar Hill section of Harlem. His most important early teacher was a little-known drummer named Phil Wright. Riley’s early career, after his discharge from the Army in the mid-1950s, found him accompanying Getz, pianist Randy Weston and saxophonist Sonny Stitt. He recorded with Griffin and another rough-edged saxophonist, Eddie “Lockjaw” Davis. Riley’s association with Barron began in the 1970s and continued for decades, including lengthy collaborations first in bassist Ron Carter’s quartet, and then in the Monk tribute band Sphere. Their musical relationship was deeply empathic: on this 1978 recording with Buster Williams, hear how Riley anticipates almost every space and shift in tempo or dynamics in Barron’s solo. In addition to his daughter Kim, Riley is survived by his wife, Inez Riley; another daughter, Gina; two sons, Corey and Jason Riley; nine grandchildren; 17 great-grandchildren; and one great-great-grandchild.